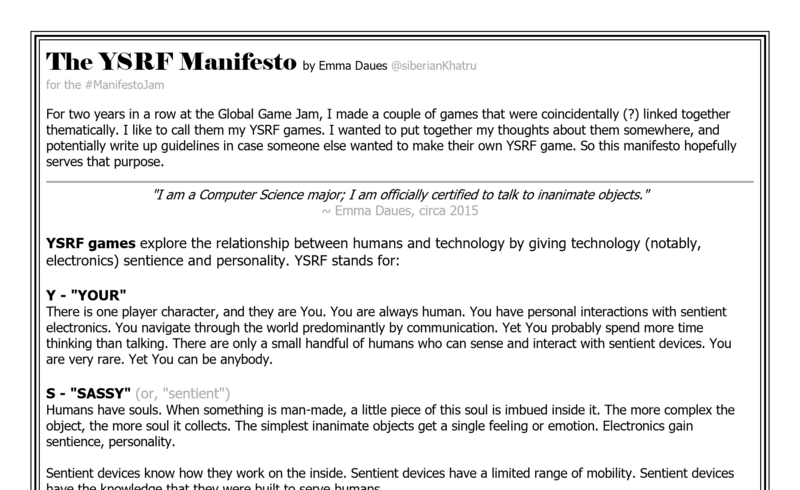 The YSRF Manifesto is an expression of my thoughts & feelings about creating Airwaves and Don't Touch That Dial, which I have taken to calling YSRF games. It is both a retrospective on these games and a set of guidelines for moving forward with similar projects. If you're interested in the background of these games, or want to develop your own YSRF game, please read this simple set of rules. 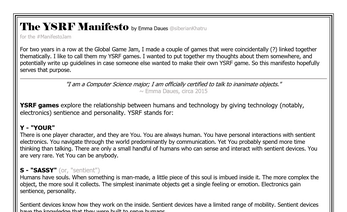 The manifesto can be interacted with as a Twine experience (above), or it can be downloaded as a .pdf (below). When playing the Twine version, fullscreen is recommended. The .pdf version comes in a typed format and a handwritten format for your preferred aesthetic. 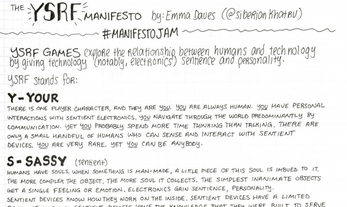 I've been wanting to organize my thoughts for awhile and the Manifesto Jam seemed like the perfect opportunity to do that. 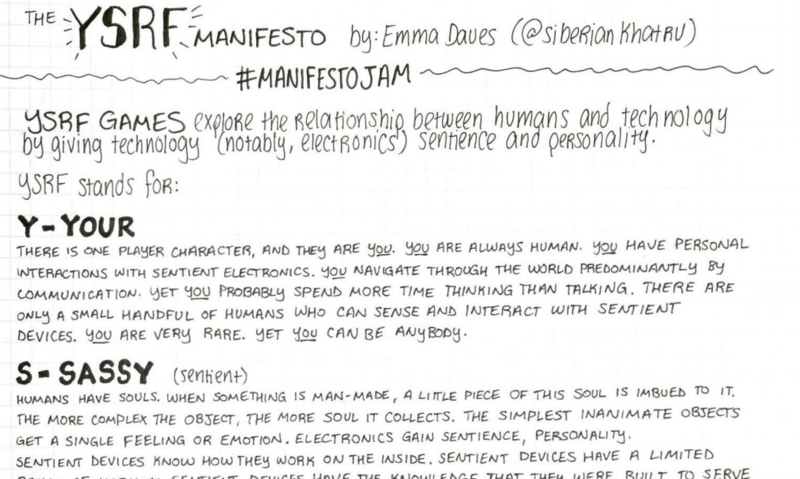 this is such a lovely way to present a manifesto! Thank you!!! I'm surprised by how well my vision of the project translated perfectly into Twine, so that means a lot to me!